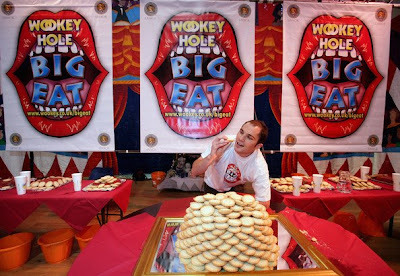 Denzil Gunner, 30, from London celebrates his win of eating 41 mince pies during the Wookey Hole Big Eat 2008, the annual mince pie eating contest, at the Wookey Hole Show Caves in Wookey Hole, near Wells, England. 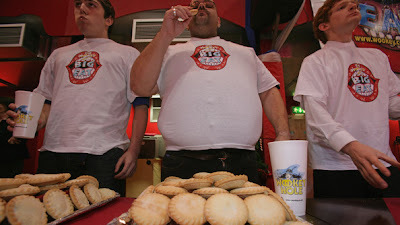 Handpicked competitors, eating professionals and members of the public alike attempt to eat as many mince pies as possible in the space of 10 minutes for a prize of 1000GBP and the chance to compete in one of the biggest speed eating events of the year in the United States. 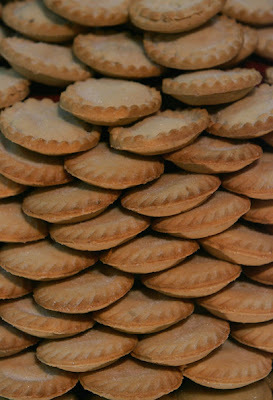 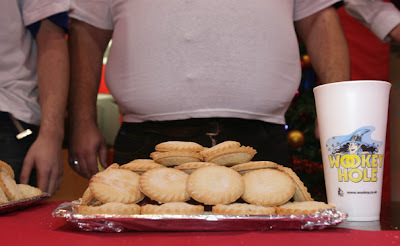 Mince pies are stacked as competitors participate in the Wookey Hole Big Eat 2008, the annual mince pie eating contest, at the Wookey Hole Show Caves. 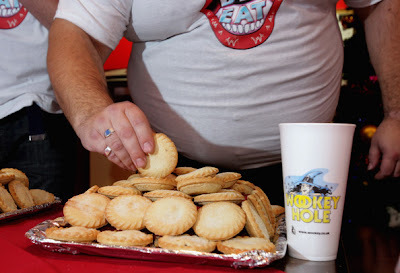 Denzil Gunner, 30, from London poses for photographers after he won by eating 41 mince pies during the Wookey Hole Big Eat 2008, the annual mince pie eating contest, at the Wookey Hole Show Caves. 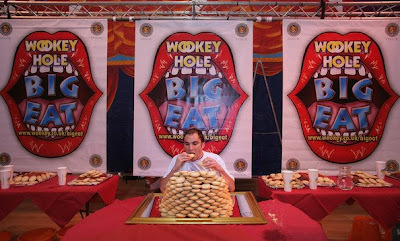 A competitor eats his way through pies during the Wookey Hole Big Eat 2008, the annual mince pie eating contest, at the Wookey Hole Show Caves. 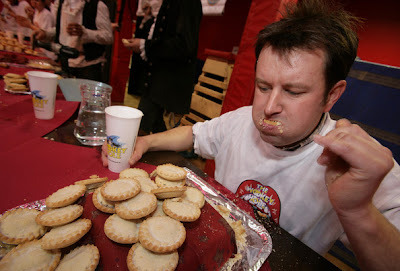 Denzil Gunner, 30, from London celebrates his win of eating 41 mince pies during the Wookey Hole Big Eat 2008, the annual mince pie eating contest, at the Wookey Hole Show Caves. 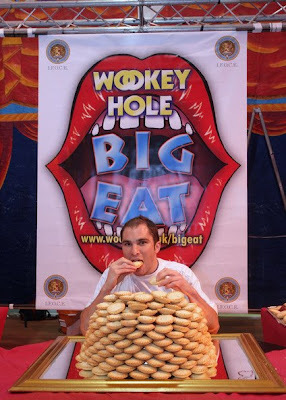 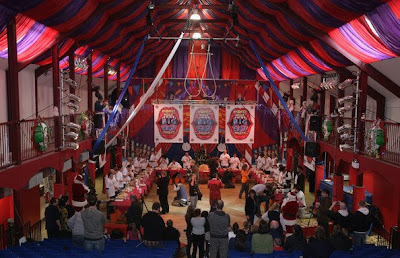 Competitors participate in the Wookey Hole Big Eat 2008, the annual mince pie eating contest, at the Wookey Hole Show Caves in Wookey Hole, near Wells, England. 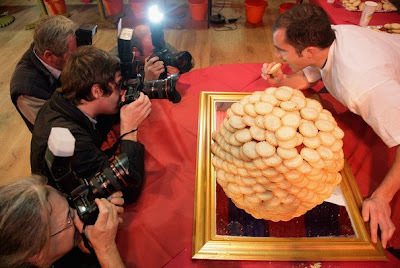 Handpicked competitors, eating professionals and members of the public alike attempt to eat as many mince pies as possible in the space of 10 minutes for a prize of 1000GBP and the chance to compete in one of the biggest speed eating events of the year in the United States.